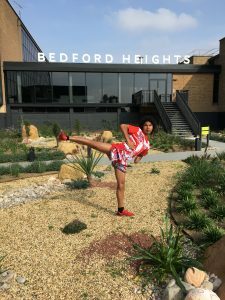 A 16 year old kickboxer from Bedford has beaten all the odds to represent England and compete in the kickboxing World Championships in Jamaica, overcoming injury and singlehandedly raising the £3,000 needed to fund the trip. 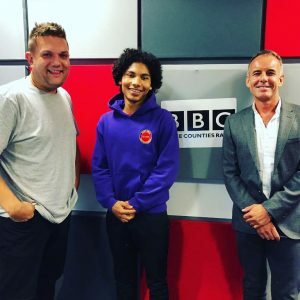 Having won two national kickboxing titles in 2017, aged just 15, Zayaan Williamson has now been invited to represent England and compete for a World title in the International Sport Kickboxing Association (ISKA) World Championships. The cost to fund the trip to Jamaica is £3,000, which Zayaan is required to fund himself. After approaching various organisations and businesses around Bedford, Zayaan struck lucky at Bedford Heights, a large business centre on Brickhill Drive, who agreed to provide the majority of the cost at £1,500. Commenting on his Championship bid, Zayaan said: “The two title wins were a huge achievement for me, especially after having to overcome a serious injury in 2015 when I fractured my leg in two places forcing me out of competition for two years. I was also one grading away from black belt and had just been awarded student of the year, so the injury couldn’t have come at a worse time. “However, after winning the titles I was thrilled and honoured to be invited to represent England but I was then left with the task of finding the £2,000 needed to enable me to go and compete for my country. Tim Pain is Managing Director of Verve Developments, the company that owns the Bedford Heights business centre, he said: “What really impressed me about Zayaan was his attitude and that he’d taken the initiative to go out there and door knock to try to raise the funds he needed to get to the World Championships.